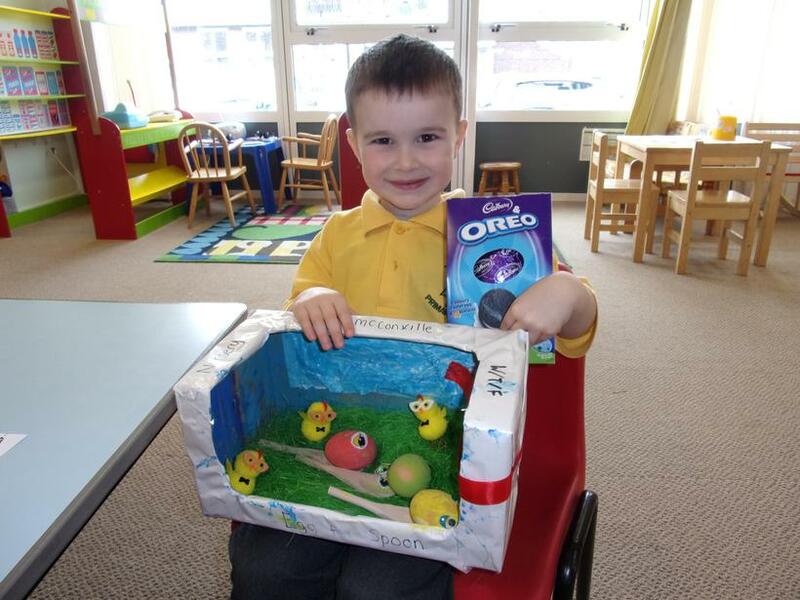 Thank you so much to everyone who took part in the egg decorating competition this year. 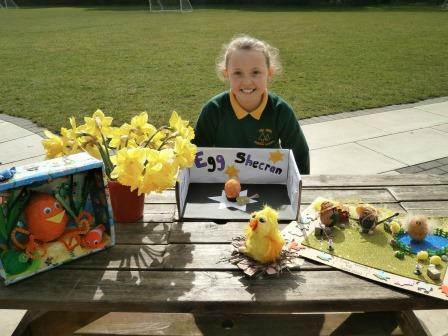 We were overwhelmed by the number of entries and ran out of space to display them all! 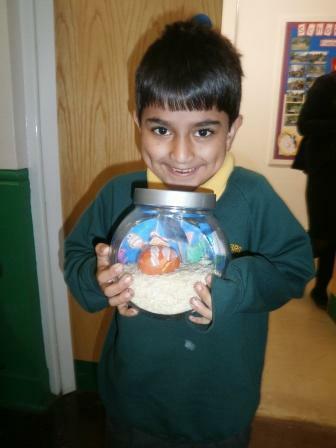 It was clear that families had worked really hard to be creative with the eggs. 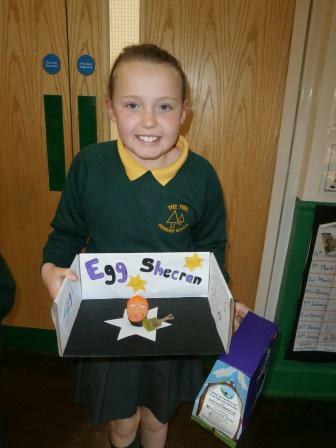 School Governor, Garry Marshall and Zoe, judged the eggs and selected Jess Smith in Year 5 as the winner. 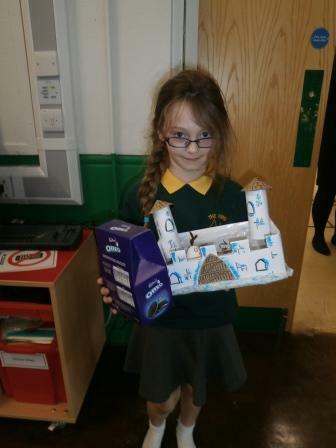 Worthy runners- up were Grace Reilly, Kian McConville and Mohammed Jameel.